The US has seen a surge in the number of high-profile investigations into bribery and corruption in the last two years. The Foreign Corrupt Practices Act’s (FCPA) enforcement actions registered by the US Securities and Exchange Commission (SEC) includes 13 corporate cases and three individual cases in 2011. For 2012, the figure stands at seven corporate cases and two individual cases. The upsurge in investigations has raised concerns not just in the US but in India as well, given the close business relations between the two countries and the extraterritorial nature of the FCPA. Corporate entities globally and several local Governments have been demanding greater clarity on various provisions in the FCPA, as well as more stringent enforcement on the lines of the UK Bribery Act. To address these concerns, the US Department of Justice and the SEC released a 120-page guide last month. The guidelines attempt to provide a comprehensive understanding of the FCPA and consequently aid adherence. They also address several queries that commonly occur to Indian corporates developing an anti-bribery and corruption compliance programme. Is a gift a bribe? While there is no threshold value mentioned for gifts, entertainment or travel benefits that can qualify as a bribe, the guidelines share examples of what could be considered improper entertainment payments — such as a $12,000 birthday trip and $1,000 pocket money. Promotional material such as stationery or T-shirts have been treated as appropriate means of providing hospitality and promoting business, leaving room for gift-giving. While most companies prefer to set limits for such promotional expenses at around $30–$50 per person, there are companies that have a ‘no gift’ policy. The revised guidelines make no clear distinction between bribe and facilitation payments, but payments made for expedition of ‘routine Government action’ are outside the ambit of bribery. Nevertheless, these payments have to be recorded appropriately under the book of accounts. While this provision is debatable, a greater concern is that most Indian companies make no provision for facilitation payments. This is because under the Indian Prevention of Corruption Act (PCA) (and the more recent UK Bribery Act), facilitation payments are considered bribes, and showing a provision in your book of accounts makes you liable for prosecution. It has been observed that companies operating in multiple geographies tend to have no provision for facilitation payments. The guidelines also state that situations involving extortion or duress will not give rise to FCPA liability, because a payment made in response to imminent threat of physical harm cannot be said to have been made with corrupt intent or for obtaining or retaining business. However, it makes a clear distinction between extortion and ‘economic’ extortion. 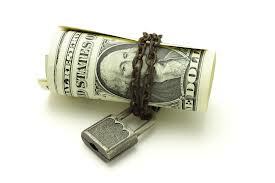 An individual who makes payment upon threat of physical harm will not be criminally liable under the FCPA. On the other hand, payment made as demanded by a foreign official as a price for gaining market entry or obtaining a contract will be classified as ‘economic’ extortion, as such payment is considered a ‘conscious decision’ to pay the official. The new guidelines state that while the term ‘foreign official’ has been sufficiently explained by SEC and DOJ, it is necessary to be flexible to accommodate various forms of government in foreign countries and their respective representatives. The guidelines indicate a list of factors to be considered while determining the agency or instrumentality of a foreign government. These include the foreign State’s extent of ownership and control in the said entity, the entity’s obligations and privileges under the foreign State’s law, the entity’s characterisation, level of financial support by the State and so on. This is not a comprehensive list, as even after considering most aspects, it is difficult to determine the extent of a foreign government’s instrumentality in an entity. The new guidelines also address other concerns such as extraterritorial jurisdiction, Pinkerton liability, and successor liability, albeit in an oblique manner by drawing references to recent prosecutions of corporates and individuals by the SEC and/ or the DOJ. While these guidelines are not conclusive, they provide an indication of how enforcement agencies would view cases of bribery and corruption in the future. Corporate India can mitigate FCPA liabilities by proactively considering some of these aspects in its anti-corruption compliance programme.